UPDATED: GallowayTwpNews.com apologizes for the delay in the release of this story. Other stories have been developing which diverted attention from this one, however this story is anticipated to be released by the end of the week. Please check back for details. 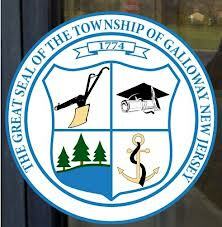 GallowayTwpNews.com has obtained through an Open Public Records Requests, Personnel Action Forms executed by Township Manager Arch Liston. Included in those forms are Raises and Promotions that were handed out to only a select few in the Public Works Department. A Public Works employee who provided information on the grounds of anonymity indicated Local 676 was still negotiating their Union Contract with the Township. Their contract expired in December 2012. The employees requested a 2% raise for the next 3 years, however according to the employee, the Township did not want to offer any raises this year to those employees. We will be providing further details and releasing the Personnel Actions forms in an upcoming story. Check back for details. But we don't have any money ...how does this work again ??? Public employees get raises while everyone else works harder for less money. Nice. This is another Galloway way for the Manager's office, he can always find money if it is for someone that is in his close circle of employees. Just waiting to see the list of who received the promotions and raises in the Pubic Works office. Should be interesting.